Hello Steemers! Today I bring you a delicious recipe for my authorship, I'm going to tell you a brief personal history of these rolls called Cinnamon Rolls... When I was studying 4th year of high school (2009) I was excited to study cooking at the end of high school, but in that date I started with the most difficult, the bakery. And my first creation was a super hard Roles and bad taste. I was practicing, practicing and at the end of 2010 I started selling Cinnamon Rolls every Friday on request at my residence and to my group of friends, shortly after I obtained an express class of bakery in the course of international chef that I realized and perfected a little more that technique that everyone liked. It was not until 2013 that I got the recipe I have today, perfect proportions to achieve a perfect Cinnamon Roll. Before beginning to mix the ingredients, we proceed to realize the cover. The cream cheese should be at a temperature of about 5 ° C.
To the cream cheese we add the sugar glass and the vanilla, we mix until obtaining a homogeneous texture and we take to the freezer. Remember to mix vigorously every 30 minutes. We start as always with a Mise En Place and all the ingredients that we will need, this time we will mix from a flour volcano. We proceed to add the dry ingredients, always separating the salt from the yeast, then add water and other liquid ingredients in the center. Knead for 25 minutes until smooth and let stand for 60 minutes. Once the 60 minutes have passed, we proceed to stretch our dough. We add butter for the whole dough. We add our mixture of cinnamon and sugar, we cover very well all the dough. Wind the longest side, or the short side of the mass. I always roll from the longest side. We place horizontally and cut the roles of 3 to 4.5 centimeters approximately. When we have cut the roles, proceed to grease the tray and place a bit of our mixture of sugar and cinnamon in the background, only in the background. We place our roles in the tray and to stand for 45 minutes at an ambient temperature of 28-30 ° C.
After 45 minutes, we took the oven to 180 ° C for 25 minutes. We remove from the oven and proceed to place the cream cheese with the help of a spatula. We show and taste our delicious Cinnamon Rolls. Thank you for reading and if you would like to learn more please contact me on the SteemKitchen Discord Server. Join Us on Our other Community mediums. Discord Server: To connect and chat with Community members. Facebook page To find your steemkitchen posts to share. 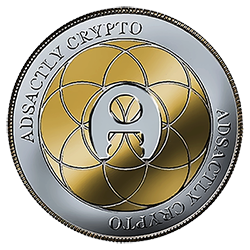 Join us in our Discord channel here to drop your post in our post promotion page, and make sure to use the @adsactly tag in the post itself. They not are to sweet, are perfect! I hope you can try!